ELMHURST, Ill. (WLS) -- Three tons of glass and steel outside the Elmhurst Art Museum are about to give the public a whole new way to see the sky overhead. The three-dimensional art installation is called Skycube. Using only glass and steel panels, the cube captures and displays live 3D atmospheric changes as they are happening. 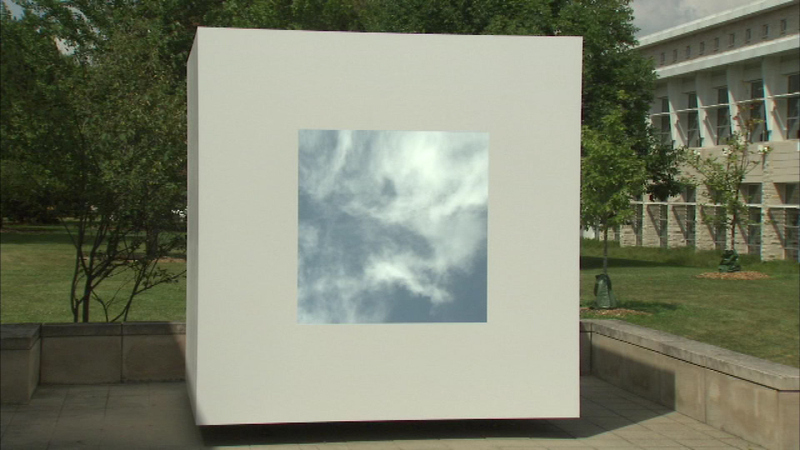 Skycube officially goes on public display Tuesday and will remain at the museum until 2016.